A shareholder licensed in both Mississippi and Tennessee, Jennifer assists clients in areas including single plaintiff and multi-plaintiff discrimination defense, employee classification issues, retaliation defense, state employment law issues, and wage and hour matters. She frequently represents employers before the Equal Employment Opportunity Commission, Department of Labor and Mississippi Department of Employment Security, and in federal and state courts.Jennifer coordinates the Jackson office's Third Thursday Labor & Employment Breakfast Briefing series and she is a frequent speaker and author on employment issues. 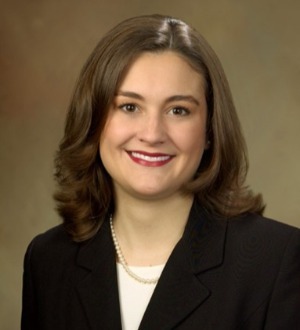 She takes an active role in the Mississippi Bar Association, serving on its Women in the Profession Committee and its Labor and Employment Section Executive Committee, as well has having served as president of the Young Lawyers Division in 2011– 2012. Inside the Firm, she serves on the Pro Bono and Recruiting Committees and has been a recipient of the Jackson office's pro bono award. More information is available at https://www.bakerdonelson.com/Jennifer-G-Hall.